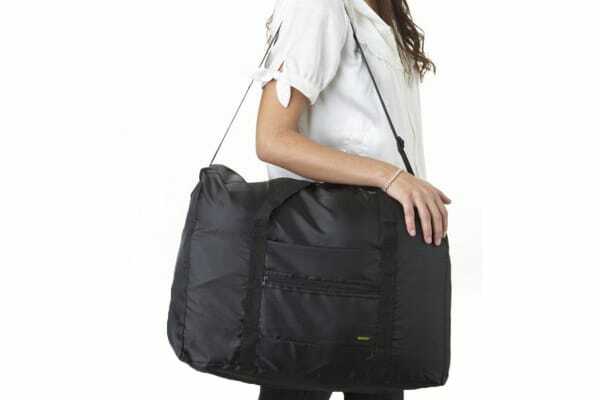 The most compact and ingenious bag when folded down, taking up almost no room. This Korjo Foldaway Travel Bag is the ideal bag for overnight and weekend stays, and other travel trips. When not in use, this bag folds into itself, taking up almost no room. When folded out, it becomes a spacious, strong and sturdy extra suitcase or overnight bag. For when you are tight on space, this Korjo Foldaway Travel Bag is the perfect way to get out of extra luggage fees. Its included shoulder strap makes this bag super easy to carry, even when full to the brim!